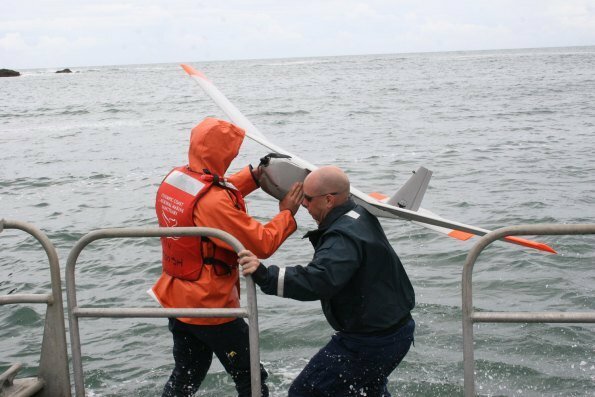 A positive perspective of UAV's, UAS, multi-rotors and what the public considers "drones"
NOAA has begun testing unmanned aircraft in the Olympic Coast National Marine Sanctuary that could allow researchers to observe animals at relatively close range with minimal disturbance, and possibly locate marine debris in remote areas. The test of the Puma system, which can fly lower and slower than manned aircraft and are much quieter, is taking place in and around the sanctuary through June 29 and is the first test of unmanned aircraft for use in the Olympic Coast. During the test, the aircraft is launched and recovered from the research vessel Tatoosh. The test mission will demonstrate the aircraft’s camera resolution and allow researchers to explore the aircraft’s potential to support management of Olympic Coast National Marine Sanctuary, the Washington Maritime National Wildlife Refuge Complex and other marine resource trustees. The Puma is a 13-pound, battery-powered aircraft that can be hand-launched from any location on land or at sea from a boat and is controlled remotely. The aircraft can fly for up to two hours on a charge and cover a range of about 50 square miles. If successful, unmanned aircraft technology could be used in marine protected areas worldwide. Agencies throughout the state, including Grays Harbor, have submitted a proposal for a drone research and testing facility in Washington. The proposal provides a testing range over the Pacific Ocean near Grays Harbor for those developers needing “blue water” testing capability. The final decisions for the flight center are scheduled to be made before December 31, 2013. A hearty congratulations to Paul Braun whose Kickstarter project was designed to bring joy to others. He has succeeded in his goal and autistic children have built and flown their own drone. With it learning some of the freedoms that come with flight and journeys into their imagination of what they might see. Once they had been taught they had the opportunity to see the earth from the sky for themselves. The sUAS News hat is firmly tipped to Paul and the team. The kids have learned to fly on a simulator, built the hexarotor from scratch and successfully flown almost a dozen missions. We’ve collected a great deal of experiences as well as lots of fantastic video. Our final step in the project was to make project videos. One aspect of that was to allow the kids to make their own movie from all the footage. What kind of movie would you produce if you had 4 GB worth of video footage, several hundred still shots and dozens of songs? I can guarantee that each movie would be different. That’s certainly the case with the movies that the kids produced. They are anywhere from 2-6 minutes each and have only tapped into a portion of all the great footage. I’d urge you to take the time to watch them. Like an army, science needs the high ground. This is true when it comes to oil exploration and especially so in the rugged landscape of Norway. 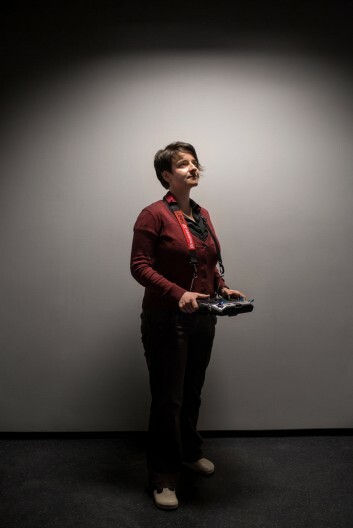 The Virtual Outcrop Geology (VOG) group at the Norwegian Centre for integrated petroleum research (CIPR) is working to capture this vantage point in a distinctly 21st century way, by using UAVs to seek out oil by helping geologists build 3D models of the terrain. We tend to think of oil exploration as taking place on desert plains or out in the ocean, but finding oil deposits depends on having a comprehensive understanding of local geology, which is one reason why the question of how much oil we have left sparks so much argument – there’s still so much we don’t know about most of the Earth. By studying the Norwegian terrain and matching it up with other data, such as that gathered from seismographs and core drilling, geologists can build up a three-dimensional picture of what’s going on beneath the ground – both on land and under the sea. 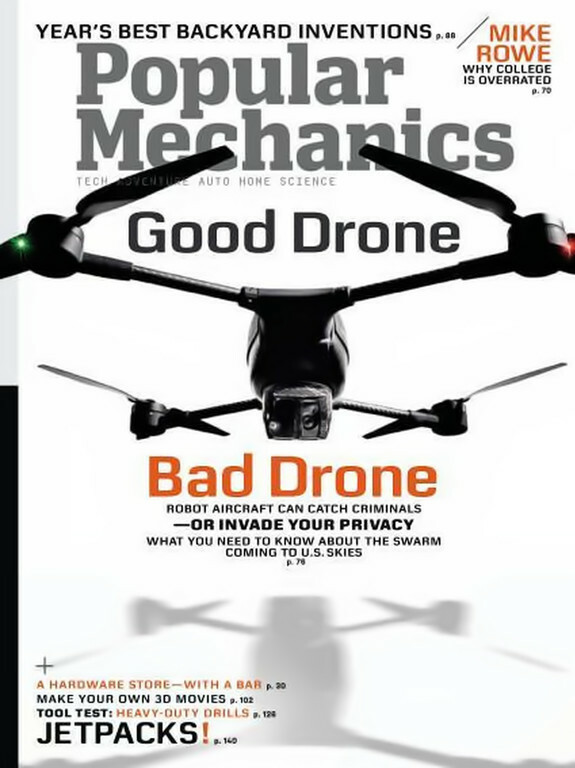 This month’s Popular Mechanics has a cover article that discusses many of the hot topics that surround Drones and UAV’s today. It is worth picking up and would be a good primer for anyone new to the topic. The article goes into a good amount of detail about current FAA regulations and how they are being pushed to change and adapt to what is becoming a growing number of commercial uses of drones.. In the wake of the recent floods in Colorado, Falcon UAV has spent the last three days providing volunteer aerial services to the Boulder County Emergency Operations Center (EOC) and the Incident Management Team (IMT). On Thursday afternoon while all National Guard aircraft were grounded due to weather Falcon UAV was proud to have been the only aircraft that was able to take flight to support the flood efforts in Lyons. Friday saw a reprieve in the weather and we are able to get a perfect flight off in the town of Longmont to capture aerial imagery for damage assesment at the intersection of the overflowing St Vrain river and equally inundated Left Hand Creek. In less than an hour the imagery was processed and provided to the Boulder EOC. Just as Falcon UAV was off to another damage assessment in Lyons, Colorado we were requested to standdown for National Guard helicopters now supporting evacuation efforts. Early Saturday morning Falcon UAV was heading up to Lyons to complete a damage assessment mapping flight when we received a call from our Boulder EOC point of contact who notified us that FEMA had taken over operations and our request to fly drones was not only denied but more specifically we were told by FEMA that anyone flying drones would be arrested. Not being one to bow to federal bureaucrats we still went up to Lyons to do a site survey for how we can conduct a mission in the near future to provide an adequate damage assessment to this storm raveged community. While we were up there we noticed that Civil Air Patrol and private aircraft were authorized to fly over the small town tucked into the base of Rockies. Unfortunately due to the high terrain around Lyons and large turn radius of manned aircraft they were flying well out of a useful visual range and didn’t employ cameras or live video feed to support the recovery effort. Meanwhile we were grounded on the Lyons high school football field with two Falcons that could have mapped the entire town in less than 30 minutes with another few hours to process the data providing a near real time map of the entire town. Falcon UAV would like to thank the Boulder County EOC and specifically Allen Bishop and Michael Chard (while they were running operations) for their common sense approach to drone operations, working to coordinate the airspace, as well as embracing this technology to help support the recovery effort. In contrast we are very disappointed in FEMAs response to actively prevent the use of UAVs and drone technology when these services were offered for free and at a time when manned helicopters could be used for more critical missions such as evacuations and high mountain search and rescues in inaccessible communities.